A snack that will change your life?! Now I’ve done it; I’ve gone too far. Hang on. Give me a sec. I like using hyperbole when I tell you about a recipe I LOVE, mostly because it’s true! All of the above is #truth. Make ’em. Eat ’em. Horde ’em. You can send me a nice thank you note later. I share this recipe and story once a year because some things you neeeeed to try. These pretzels are that good. 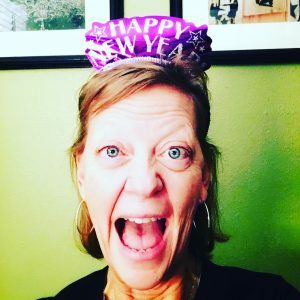 If you haven’t made them yet, this is your year. I had my first spicy pretzel (we refer to them as ‘picy pretzels) when a friend, our beloved Sue, dropped off a birthday package for Garry. There they sat, in a ribboned-adorned apothecary jar, looking very ordinary, as pretzels are known to do. Pretzels being pretzels are not exciting. Not even when wrapped with a bow. Garry took off the top of the jar and popped a few pretzels in his mouth. Huh. That was an interesting reaction to ordinary pretzels. He silently offered me the jar, which I took, and then tossed a few in my mouth, in birthday pretzel solidarity. These were no ordinary pretzels. Our snacking world tilted that day. These seemingly ordinary pretzels held a surprise; they were baked with a delicious and unexpected kick. What follows is the recipe that is now held in hallowed esteem in our house. Measure the oil into a measuring cup and add all ingredients. Whisk together until full mixed. Place pretzels in a roasting pan that is at least two inches high (for mixing purposes) and pour oil mixture over entire pan. Mix with a spatula until all pretzels are coated. Place in over heated to 200°. Cook for two hours, stirring pretzels every 15 minutes to prevent burning. Cool, prepare a libation and enjoy. I always double this recipe. Trust. We eat them; we gift them; we hoard them; we share them. I like them hot out of the oven. I like them by a roaring fire with an ice cold beer or a Jack and Coke. I like them on the hor d’oeuvres holiday table. I like them in a bowl while watching a Netflix marathon. Consider this my gift to you. Get to baking, gifting, hording and snacking. 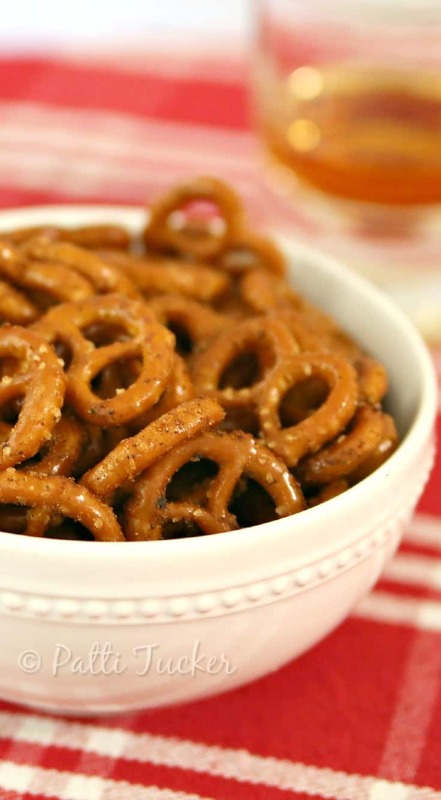 These pretzels might just change your life. 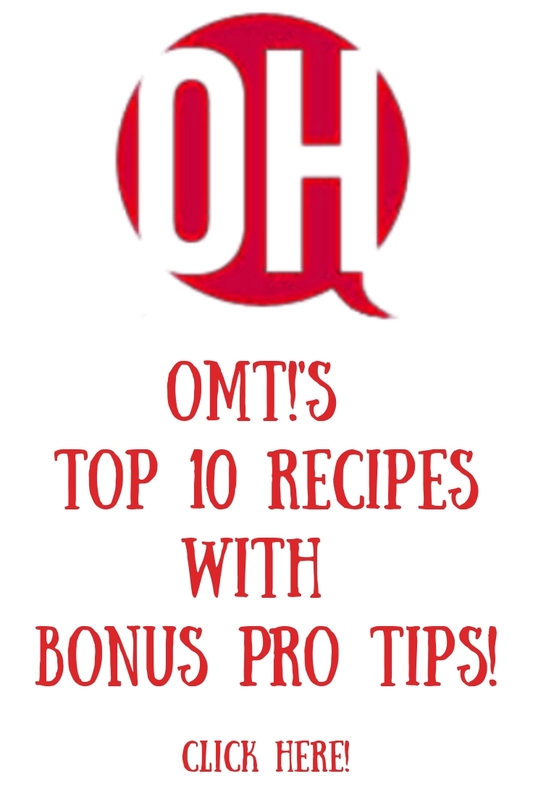 Tired of searching for a popular OMT! recipe? Except to click on the image. You still have enough strength for that. I am not currently eating grains right now, bit when I do, I will have to try this! These would definitely be hard to resist, Mrs Tucker! Thank you for sharing, and for being a part of the Hearth and Soul Link Party. Hope to see you again this week. Hope you have had a lovely weekend! I hope you make them AND love them as much as we do!